No name, no specs. Just a D'Pergo. 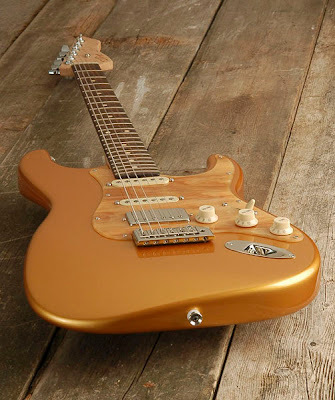 We've featured these before; I discovered D'Pergo via Julien Kasper a Strat-o-Brother, fusion monster & Berklee faculty for whom D'Pergo makes a signature model. 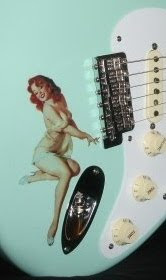 Windham, NH based D'Pergo Custom Guitars will build an S or T-type guitar for you too-- with specs & features which best suit your needs. Visit D'Pergo and check out their galleries & other info. 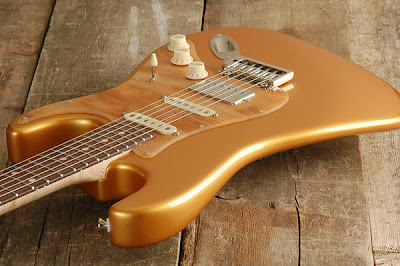 They're big on using beautiful & toneful old growth woods and top of the line parts.